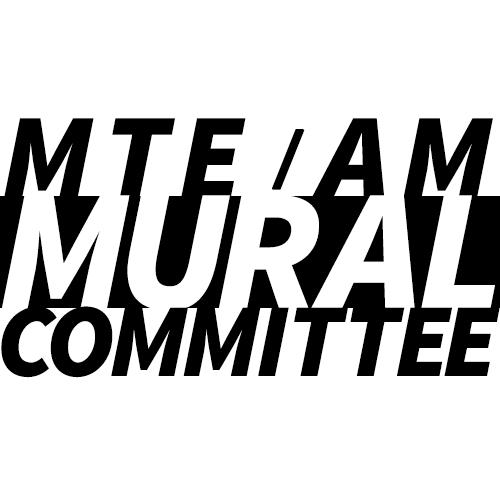 What is the MTE/AM Mural Project? Current outside mural wall that was retained during construction of the new school, and will be painted again with this project. The original mural by Andrew Morrison that was lost during demolition of the old school. These are students of the school in 2009 when the mural was originally painted. 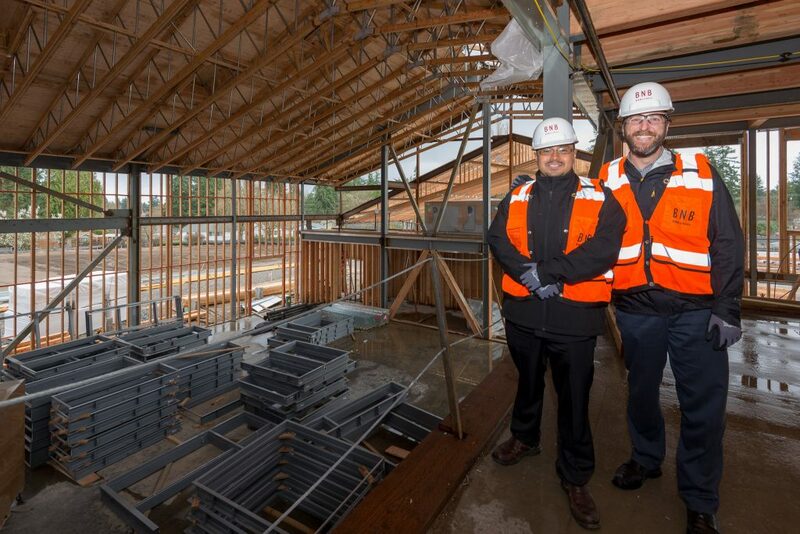 How will this project impact the school and community of Mountlake Terrace? By creating a sense of community through art. We view this project as not only a shared experience with the children of Mountlake Terrace Elementary, but as a community project celebrating a local Native American artist. Our students, families and community members speak over 25 different languages and celebrate a wide variety of cultures and backgrounds. 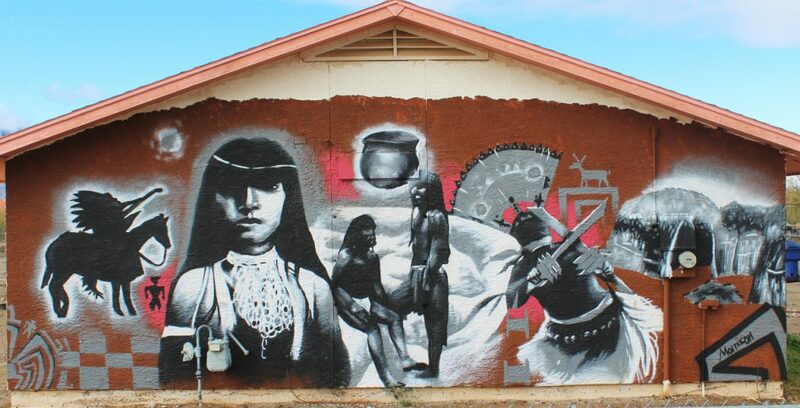 Andrew’s art depicts local cultures in large scale, showing all the community how powerful art can be in bringing dignity and power to its people. Murals created by children in the school create a strong sense of ownership and Andrew’s larger-than-life art will bring a strong sense of belonging to the families of our school. Andrew’s art reflects strength in portraits, depicting people from all pages of life and culture. Not only does the project empower students in our community, it supports a local artist coming back home to support his community through his talents. Our community and school has a rich tradition of art appreciation, art education, and arts education. Together with the Mountlake Terrace Friends of the Arts, we hope to cultivate the next Andrew Morrison in our community through arts education support and empowerment. Andrew is a local artist who grew up in Mountlake Terrace. Andrew is Native American, went to Mountlake Terrace schools, and was a contributing member of the local community. He even served on the board of the Mountlake Terrace Arts Commission and is why the Mountlake Terrace Friends of the Arts were excited to partner with us. More about his art can be found at www.andrewmorrison.org. When Will The Murals Be Painted? We are accepting donations to help fund the project in full. With the help of an Edmonds School District capital projects grant and a generous grant by the Hazel Miller Foundation, we are close to fully funding the project but still have a bit to go! All donations will be made to our partner organization, MLT Friends of the Arts, a 501(c)3 organization, earmarked especially for this project. With very little overhead, almost 100% of donations go directly to the project. All donations are tax deductible and all donors will receive receipt of their donation for tax purposes. Help us bring this amazing art back to our school and our community through your tax deductible donation today. You may donate through PayPal with a debit or credit card, or submit your donation online here as an OFFLINE donation and mail your check to the address provided when filling out the form. We ask that, for tracking purposes, you submit your intent to donate through this website even if you plan to just write a check. Every dollar counts, and again, any monies collected OVER the amount needed for the initial project will go into OTHER student and community art projects at not just MTE, but other MLT schools and public areas.